This was the case recently in a wrongful death lawsuit brought by the father of a young boy who drowned in a backyard pool at a family gathering. According to court records, the 5-year-old child had come to the party with his mother, and neither he nor his mother knew how to swim, though she did not bring a flotation device with her. When the child and his mother first arrived, one of the homeowners agreed to watch the child as he splashed around in the wading area of the pool, which was separated from the main pool by a nine-inch rock wall. When the child’s grandfather – a city fire department captain – arrived at the gathering, he told the homeowner he would take over watching the child. He later testified he never turned that responsibility over to anyone else. When the boy’s mother saw the homeowner whom she had entrusted to watch the child in the house, she did not ask who was watching her son because she assumed another adult had taken over. The boy’s grandfather allowed him to play in the shallow end of the pool. At some point, the grandfather lost sight of the boy. An older girl reportedly held the boy and played in the deep end – with the approval of his grandfather – but it’s not clear at what point she and his grandfather lost sight of them. Suddenly, someone spotted the boy being in face down at the bottom of the pool. Adults pulled him out, but resuscitation efforts were unsuccessful and the boy died. 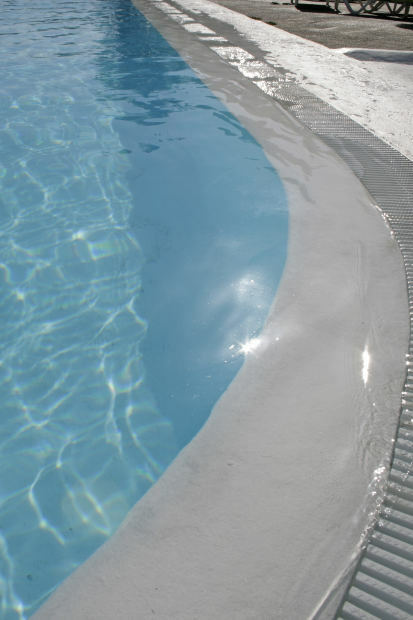 In plaintiff’s lawsuit, it was alleged defendant homeowners made modifications to the pool that turned the color of the water dark, thus making it difficult to see under the surface. Further, plaintiff alleged no flotation devices were provided to guests. Trial court granted summary judgment to defendant, finding homeowners owed no duty of care because decedent’s grandfather had specifically overtaken supervisory duties for the child, and there was no evidence that any condition of the pool was dangerous or that these conditions caused the boy’s death.